It’s Friday – one of the greatest days of the week – and another weekend is about to begin! One. It’s Baseball Day – I’m heading to one of my favorite places in the world – Nationals Park! It’s my first baseball game of the 2018 season, my Nationals are taking on the Colorado Rockies and it’s Sean Doolittle bobble-head night! And I should also point out that the weather is supposed to be in the upper 70’s and sunny – sounds like the perfect night for a baseball game! Two. Potted Potter – I spotted a post for this on the Metro way back in early March and immediately text my friend Rachel to see if she wanted to check it out! A stage show starring two guys who manage to cram all seven Harry Potter books into a seventy minute show? Yes please! The review are great and it’s a comedy – so I can’t wait to spend some time just enjoying some good laughs on Saturday afternoon! Three. Harman Center for the Arts – This next bit may be a little…nerdy? 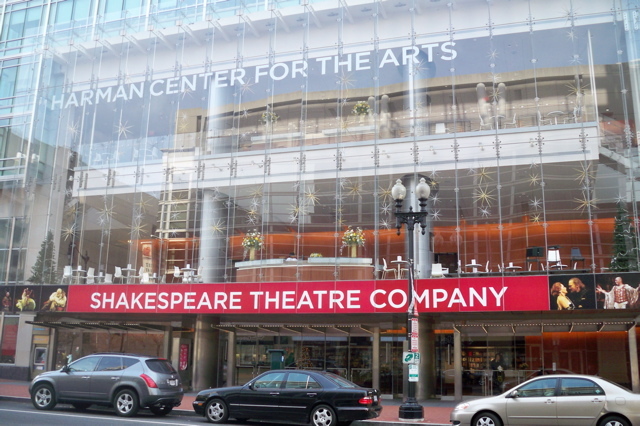 I have been to concerts and sporting events at the Capitol One Arena (I still want to call it the Verizon Center…) and always wanted to check out the Harman Center for the Arts, located across the street. And guess what? I get the chance on Saturday…because Potted Potter is at Sidney Harman Hall! I’m marking off another spot in DC that I’ve never been – which is always a win! Four. Spring Weather – Finally…finally, after some snow on Monday (I’m not kidding…even a little bit…), the temperatures have been creeping up a little bit each day and it finally looks like Spring might be here to stay! The forecast for the next few weeks has the temperatures hovering between the mid 50’s and the mid 70’s and I am so glad! The cold really has hung around long enough! Now here’s hoping that by posting about the wonderful Spring weather, I don’t jinx it! Five. Chilling on Sunday – My weekend is pretty full; all of Friday night will be taken up by a baseball game and a large chunk of Saturday will be spent going to and from DC and enjoying the show in DC… I’m looking forward to doing a whole lot of nothing on Sunday afternoon. Although I have wondered if I should check out the Arboretum and see if the daffodils are in bloom… I’ve also wondered if I should try to pop over to the Tidal Basin on Saturday evening and taking a peek at the cherry blossoms. I know y’all – I’m sitting here saying I want to chill while actively contemplating adding additional things to the list! I’m just trying to enjoy my life – you know? *I just looked at the weather and there is a 100% chance of storms on Sunday – so I guess I really will be relaxing on Sunday afternoon!